Strip-curtains.com introduces state of the art high speed automatic cutting machine. 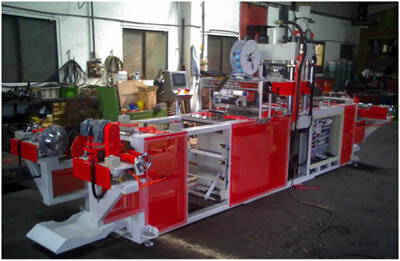 This revolutionary machine offers various value added services to our rolls of material, from winding and slitting to punching and scoring of materials. Materials which can be processed range from 6", to 8" and 12" flexible pvc in various thicknesses and grades (freezer and standard grade). 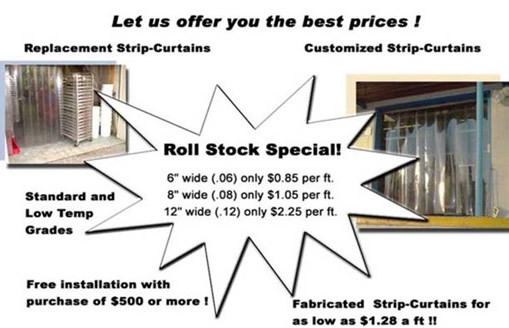 Strip Curtain door kits and replacement strips can be produced at much faster speeds allowing for quick turnaround of orders.